Suitable from 5 - 16 Years. 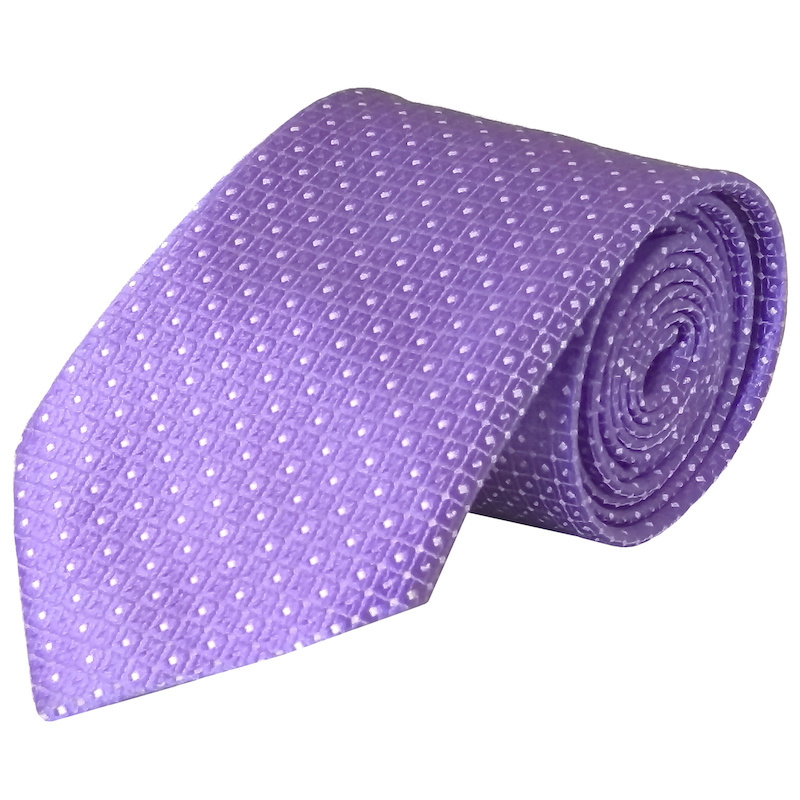 Boys purple dot satin tie featuring a white dot design, adding a dash of style and colour to your boy's formal outfit suit. Perfect for weddings as a pageboy, wedding guest, communion etc or any formal occasion. Made in England - excellent quality made with 100% polyester.